The IUIS, together with Vaccines Europe will collect applications from members of IUIS, EFIS or any European Immunology/Vaccinology Society and select a winner among them. The aim is to promote and foster a younger generation of scientists in the early stages of their career in Europe. Therefore, the Prize should focus on associate professors or senior postdoctoral fellows (e.g. 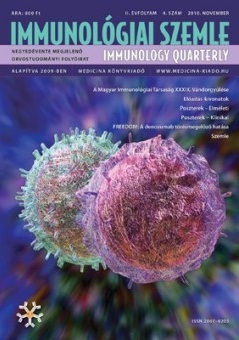 those who have worked some years in the field of vaccinology and have already established their own working group/lab). 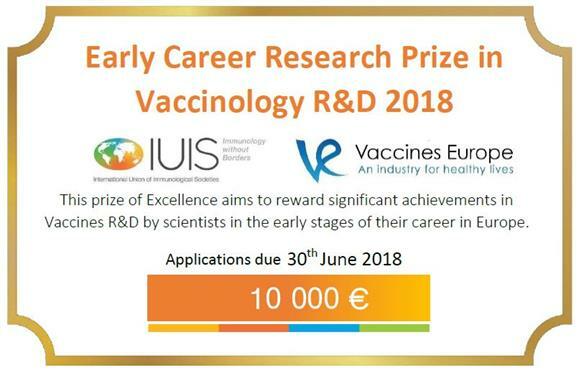 This prize of Excellence set up by IUIS with the contribution of Vaccines Europe aims to reward significant achievements in Vaccines R&D: Discovery of new vaccine antigens, new vaccines design, understanding the basics of the immune response, new technologies to improve the future of vaccines or vaccination and that are supported by proof-of-concept data (preclinical and clinical).